Caitriona received a B.Sc. in Pharmacy from University College Dublin in 1976 and a PhD in 1983 from the University of Dublin, Trinity College. In 1977 she joined the faculty of the School of Pharmacy in Trinity College and held the posts of lecturer (1977-1994) and senior lecturer (1995-2003) in Pharmaceutics during which time she undertook a sabbatical in the Department of Pharmaceutical Chemistry at the University of Kansas. In 2003 she was appointed as Professor of Pharmaceutics at UCC and was, at the same time, appointed as the first Head of the School of Pharmacy at UCC, she served as Head from 2003-2009 and 2010-2013. During her tenure as Professor of Pharmaceutics Caitriona has established an energetic, productive and expanding drug delivery research team. The expertise established spans from pre-formulation through to production and manufacture of prototype delivery systems suitable for clinical trial. The group has obtained funding from exchequer and non-exchequer sources and offers a range of PhD positions. Strong links to the Pharmaceutical Industry underpin many of the research projects. The establishment within UCC of the drug delivery group and the development of interactions with Pharmaceutical Chemistry and Process & Chemical Engineering at UCC gives the University a unique strength which facilitates drug development research from drug design and synthesis all the way through formulation and production to clinical trial. 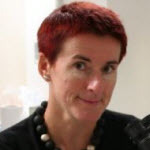 Caitriona is an external examiner for University of Bath, Masters in Pharmacy and for the Pharmaceutical Society of Ireland, Professional Registration examination. She has acted as PhD thesis examiner in University of Nottingham, University of London, King's College London, University of Bath, University of Strathclyde, Cardiff University, Queen's University Belfast, Monash University Melbourne and Trinity College Dublin. She is serving as a member of the Irish Medicine Board (2011-2014) and the Pharmaceutical Society of Ireland (2011-2014) and is a member of the College of Medicine and Health Executive UCC and the School of Pharmacy Executive. Caitriona was awarded the 'Person of the Year award' for outstanding contribution to science by the Parenteral Drug Association (Ireland Chapter) in 2013 and in 2007/2008 was honoured with the 'Award for Professional Excellence' and 'Award for Pharmacist of the Year' by Helix Health. Fitzgerald, KA; Malhotra, M; Gooding, M; Sallas, F; Evans, JC; Darcy, R; O'Driscoll, CM (2016) 'A novel, anisamide-targeted cyclodextrin nanoformulation for siRNA delivery to prostate cancer cells expressing the sigma-1 receptor'. International Journal of Pharmaceutics, 499: 131-145. Griffin, B.T, Guo, J., Presas, E., Donovan, M.D., O'Driscoll, C.M. (2016) 'Pharmacokinetic, Pharmacodynamic and Biodistribution following oral administration of nanocarriers containing peptide and protein drugs'. Advanced Drug Delivery Reviews. Guo J; O'Driscoll CM; Holmes JD; Rahme K (2016) 'Bioconjugated gold nanoparticles enhance cellular uptake: A proof of concept study for siRNA delivery in prostate cancer cells'. International Journal of Pharmaceutics, 509 (1-2). 'Anisamide-targeted gold nanoparticles for siRNA delivery in prostate cancer – synthesis, physicochemical characterisation and in vitro evaluation' Fitzgerald, KA; Rahme, K; Guo, JF; Holmes, JD; O'Driscoll, CM (2016) 'Anisamide-targeted gold nanoparticles for siRNA delivery in prostate cancer – synthesis, physicochemical characterisation and in vitro evaluation'. Journal of Materials Chemistry B, 4: 2242-2252. Exploring the Impact of Drug Properties on the Extent of Intestinal Lymphatic Transport – In Vitro and In Vivo Studies' Lawless, E; Griffin, BT; O'Mahony, A; O'Driscoll, CM (2015) 'Exploring the Impact of Drug Properties on the Extent of Intestinal Lymphatic Transport - In Vitro and In Vivo Studies'. Pharmaceutical Research, 32 :1817-1829.